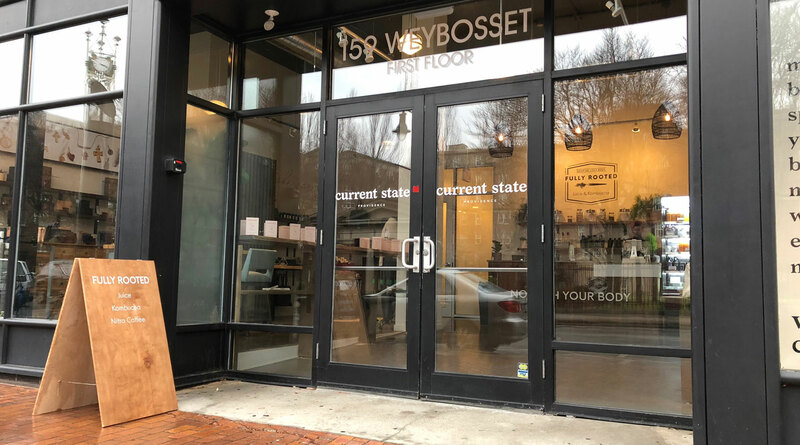 Our new Providence location is now OPEN! Enjoy added convenience in the city and new products such as Fully Rooted gear and food items! and Collard Wraps made from local and organic ingredients. 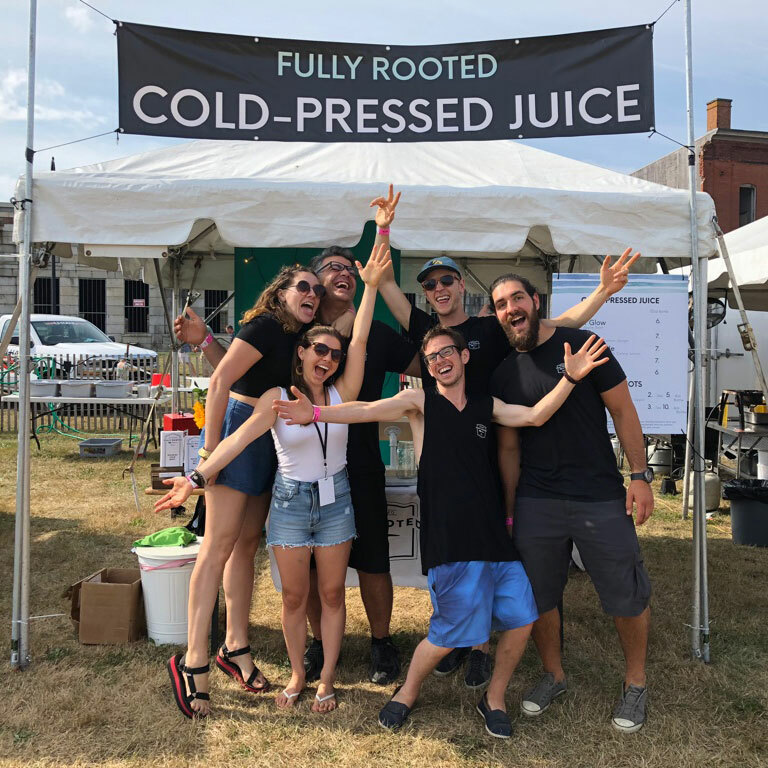 Fully Rooted is a raw cold-pressed juice & kombucha company which wants to bring awareness, health and vitality to the consumer one glass of juice at a time. Here at Fully Rooted, we take health and the environment very seriously and work very diligently to support the two! The body is capable of not only healing itself but also can prevent health conditions as well with proper balance and nutrition of mind, body and spirit! We have all experienced this first hand and work to share our message. Don’t sacrifice taste for health. Our juice is balanced and consistent. 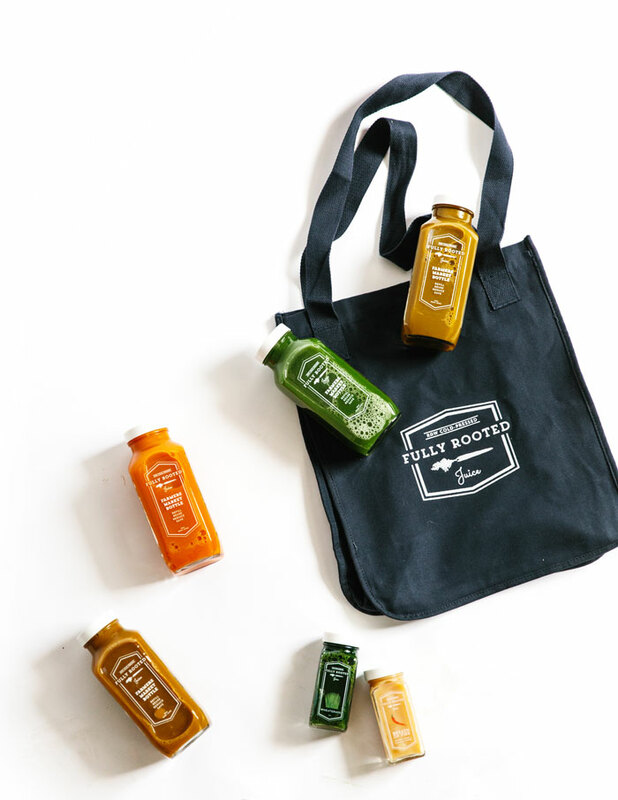 We are extremely precise with our recipes so that you can taste every ingredient in our juice. This method preserves nutrients in the fruits and veggies being juiced because they do not oxidize due to heat or grinding blades, thus allowing the enzymes, proteins, minerals, and phytonutrients to remain intact. Our juices are not preserved by heat pasteurization or HPP (High Pressure Processed) leaving the ingredients in their purest form. We source as many local ingredients as we can, while working to use even more. We know who we buy from and the story behind each carrot, tray of wheatgrass or bunch of kale. 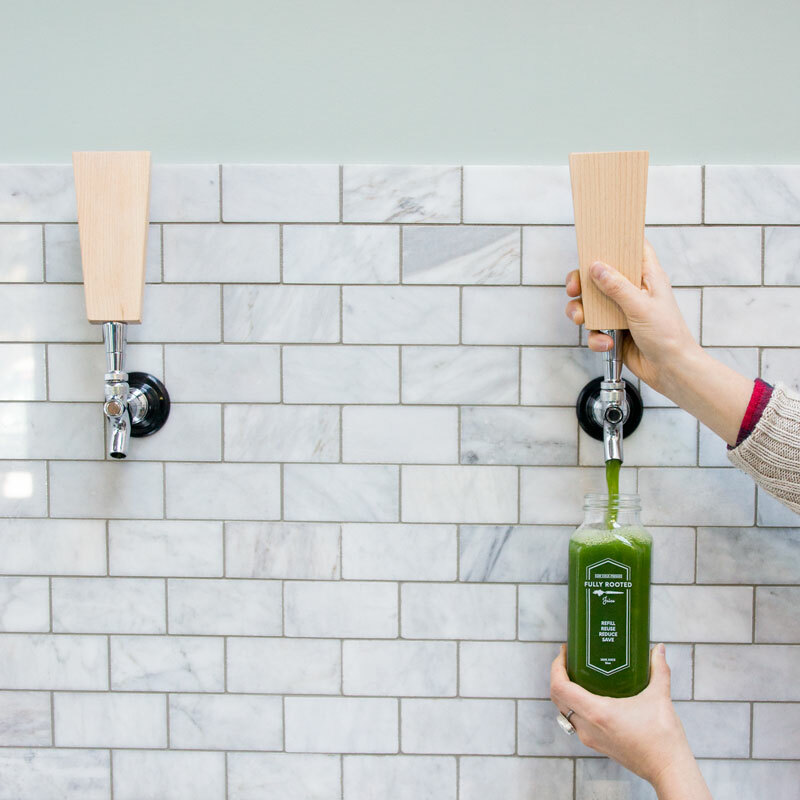 Juice on Tap @ our Juicery Locations! 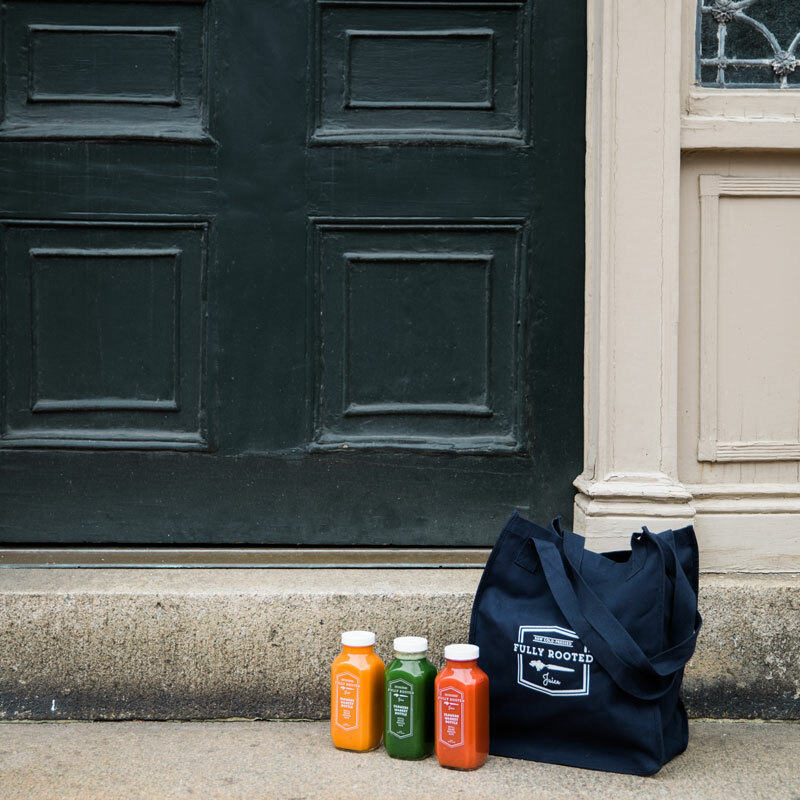 Juice delivered to your doorstep. You can order right on this site for home/work delivery on Wednesdays. You can get juice and other locally produced goodies we sell delivered every week! Set up a subscription and save up to 15%. Our bodies have natural detox systems built right in, but in order for them to work, we need to give them the opportunity by resting the digestive system and giving our body everything it needs: pure water and a wide variety of powerful nutrients accompanied by their live enzymes.